View basket “Premium Waiters Friend. 3 Part s/steel with Wooden Handle” has been added to your basket. 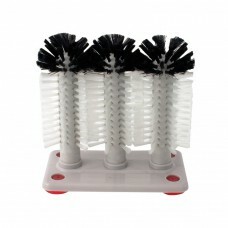 The 3 Brush Glass Washer is made entirely from plastic, making it hygienic and easy to clean. Simply use the rubber suckers to attach to the bottom of the sink. Sold singly. 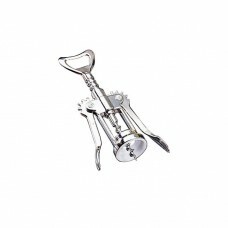 The Champagne Resealer is made from stainless steel with a plastic bung. It clamps on to the bottle neck for preserving champagne and sparkling wine. Sold singly. The Double Reach Waiters Friend is made from stainless steel and has a plastic handle, making the entire tool dishwasher safe. 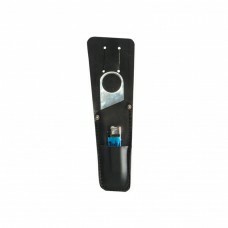 It has a double reach lever which reduces the risk of breakages. 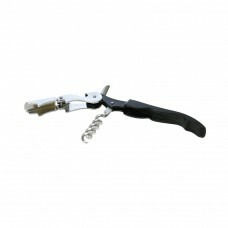 It has a three part design featuring a foil knife, cork screw and lever with crown cap remover. Sold singly. The Drink Stick Muddler 12″ is made from one piece of hardwood, but has not been sealed. It is a classic beech colour, with a flat mashing head use for crushing fruit or ice for a cocktail mixes. Sold singly. The Black Leather Holster is great for keeping your bar blade and lighter close to hand. It has the ability to attach to your belt. Sold singly. 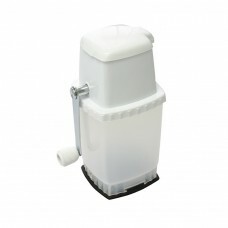 The Manual Ice crusher is constructed from white durable plastic. Simply pop the ice cubes in the top and turn the handle to crush the ice. Sold singly. 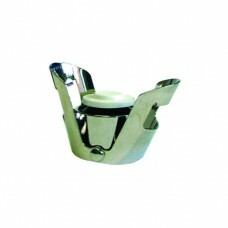 The Waiters Friend is made from stainless steel and has a wooden handle. 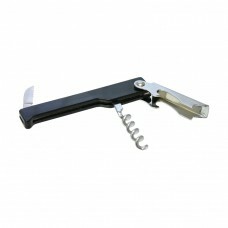 It has a three part design featuring a foil knife, cork screw and lever with crown cap remover. Sold singly. 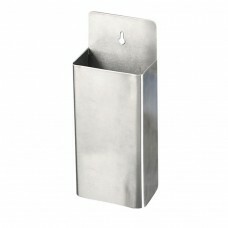 The Bottle Cap Catcher is constructed from stainless steel and can be hung or stand alone. It is removable making it easy to empty and clean. Suitable for indoor and outdoor use. Sold singly. 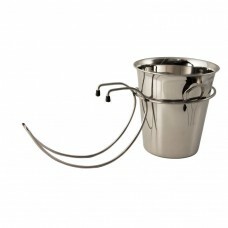 The Table Top Holder for The Wine Bucket is made from stainless steel and is easily hooked on the side of the table. The ends of the hooks are covered by plastic hats to protect your table surface from marking. Sold singly. The Traditional Waiters Friend is made from stainless steel, with a plastic coated handle for easy grip. 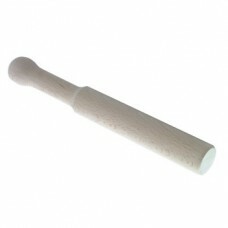 It has a traditional three part design featuring a foil knife, cork screw and lever with crown cap remover. Sold singly. 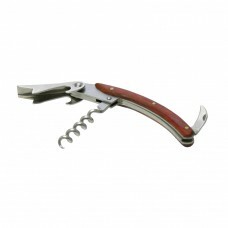 The Winged Corkscrew is an all metal construction making it robust and hard wearing. 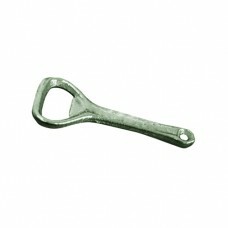 Can be used on both traditional corks and synthetic bottle bungs. Sold singly.